Your home is made up of many tiny details that work together to create a beautiful and comfortable living environment. One of those features is your wall trim, which needs a touch up every now and then. Sharper Impressions provides trim painting services in every room in your house, giving you a transformational new look you’ll love. 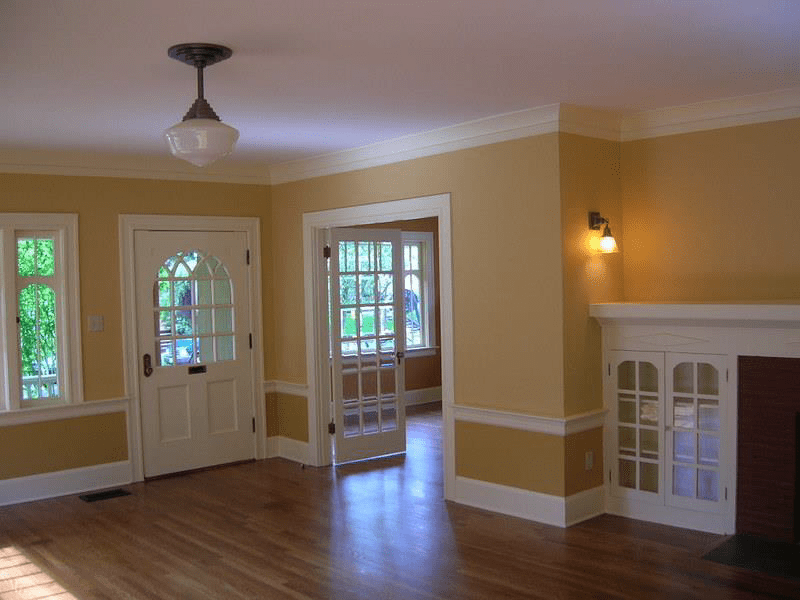 Turn your old, dated and dark wood trim areas into a fresh updated color with our interior painting services. Our interior trim package includes glossy white trim paints. This makes the trim look fresh and clean, and is extremely durable. Durability ensures it will hold up against sweepers, cleaning materials, kids and pets. Doors, cabinets and window trim can also be painted any color you like. All the features in your home will match, giving a cohesive look. If you want to update your home with a brighter and lighter color, consider our trim painting services throughout the entire house. Looking for trim painting services to give your home a fresh look? Call Sharper Impressions Painting today to schedule a free estimate, or request a free quote by filling out the form below!